Providing you the best range of ultrasonic water flow meter with effective & timely delivery. 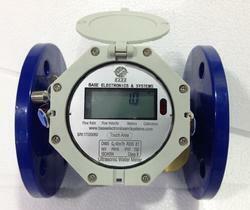 The ultrasonic bulk water meter is developed and manufactured according to the National Standard for Water Meter. The meter uses of Ultrasonic Transit-time Metering Principle, itfeatures high measuring accuracy, low power consumption, wide measuring range/turndown ratio, stable and reliable performance. Support standard communication protocols like Modbus,CJ-188. Built-in high capacity lithium battery with 6 year or above battery life. Looking for “ULTRASONIC WATER FLOW METER”?